The programme for the next conference of the ARMMS RF & Microwave Society is now available on line. To view the programme click here or visit the ARMMS web-site: http://www.armms.org/. The conference will start at 12:30pm on Monday 19th of November with a buffet lunch and will end on the afternoon of Tuesday 20th at around 3:30pm with the best paper award. The attendance fee includes overnight accommodation and the Society dinner on the Monday evening. On-line booking and payment is now available. As always the conference will be accompanied by a small commercial exhibition. 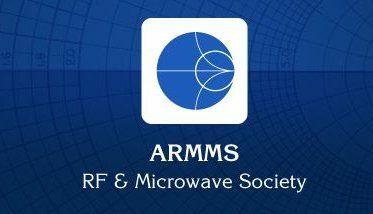 The ARMMS RF & Microwave Society is an independent professional society comprised of individuals with an interest in the design, production and measurement of devices and products operating at RF and Microwave frequencies. Two meetings are held each year in the style of a small conference and associated exhibition. A wide range of technical papers is presented and proceedings are distributed to each delegate. A highlight of each meeting is the Society dinner, which provides an invaluable opportunity to meet like-minded colleagues.